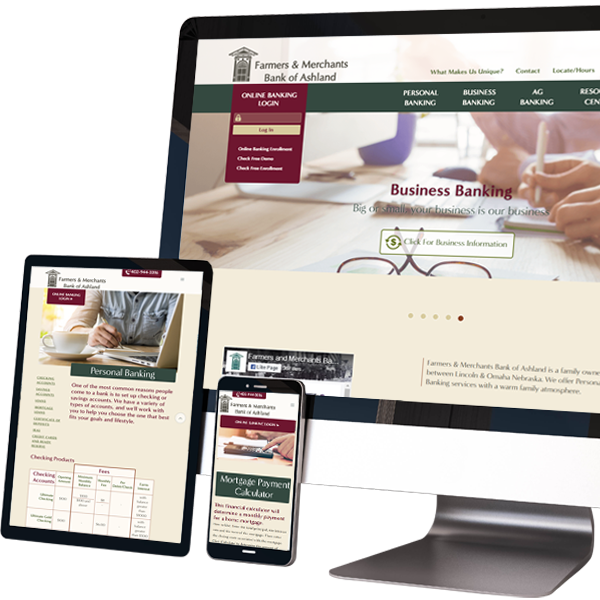 From one-page informational websites to fully integrated sites with special features, we work with you to provide a customized website solution that best fits your brand and requirements. We research and evaluate all aspects to balance user interface design, responsive design, and accessibility. This will result in a positive user experience regardless of the type of device that is used to access your website. Our detailed approach and high security standards ensure a quality experience and peace of mind throughout the project. Website layout and coding that will adapt and look great on any device. Custom CMS solutions using Concrete5, a user-friendly and secure CMS. We follow WCAG 2.0 guidelines established by the World Wide Web Consortium. Using the latest technology, we offer secure hosting that meets the regulatory requirements for banks, credit unions, and the health care industry. We also offer secure certificates. Easily submit changes to your website using our client portal. Have all of your hosting, domains, and emails managed by Studio78. 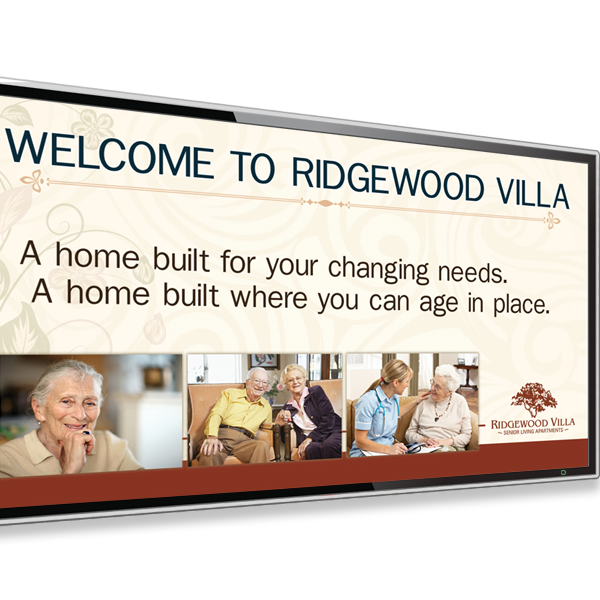 Communicate more easily and quickly with customers or employees with a network of digital signs. Deliver customized, relevant messages easily with a web-based content manager. We design the layouts based on your content and take care of the technical end. You update your content as often as you want to give your company a fresh way to communicate. Corporate communication & announcements, educational information to reduce perceived wait time in lobbies, menu boards, informational kiosks, and more. Manage and update your content from anywhere with the easy to use online manager, hosted on our secure servers. Studio 78 can coordinate your installation of commercial-grade screens and players. 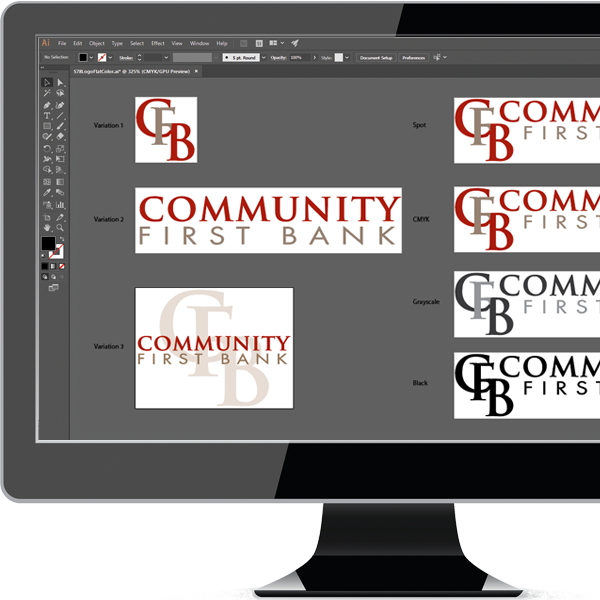 Reflect your company’s brand across all your marketing needs, from web to print, with our first-class graphic designers. Conception to final logos for new companies, or total brand redesign and graphic standards for a well-established company. Business cards, posters, brochures and beyond, we provide design and printing services for all your collateral materials. Make your posts and images more attractive with custom-designed templates. Studio-78 is my number one vendor – based on how I feel and am treated every time I call – for whatever I need. The team is truly amazing.